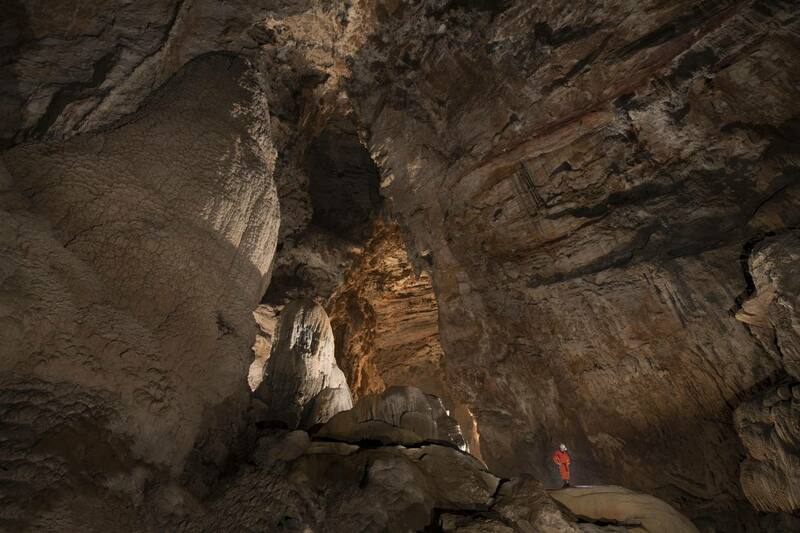 Photographing The Largest Cave Chamber In The World... Bigging it up in China Pt 5, the final adventure. 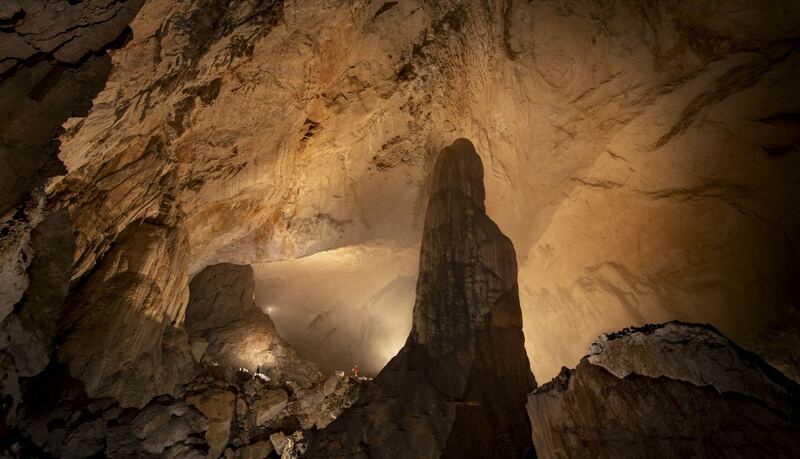 The final leg of our journey would take us to the Gebihe cave system in Ziyun Getu He National Park in the province of Guizhou. 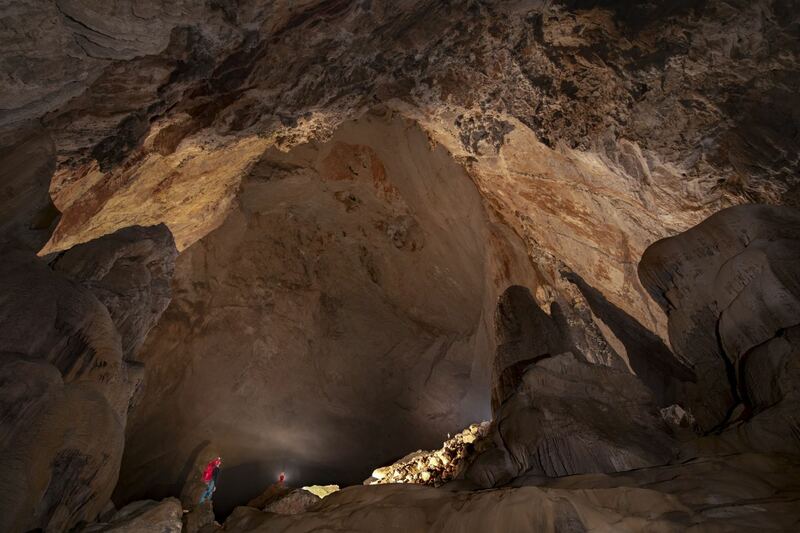 Here we would spend a number of days re-scanning the worlds largest cave chamber by volume, the immense Miao Room. Our first problem, and when I say ‘our’ I do of course mean Phil’s as he was the only Chinese speaker among us, was to deal with was the fact that the local government did not want us there. 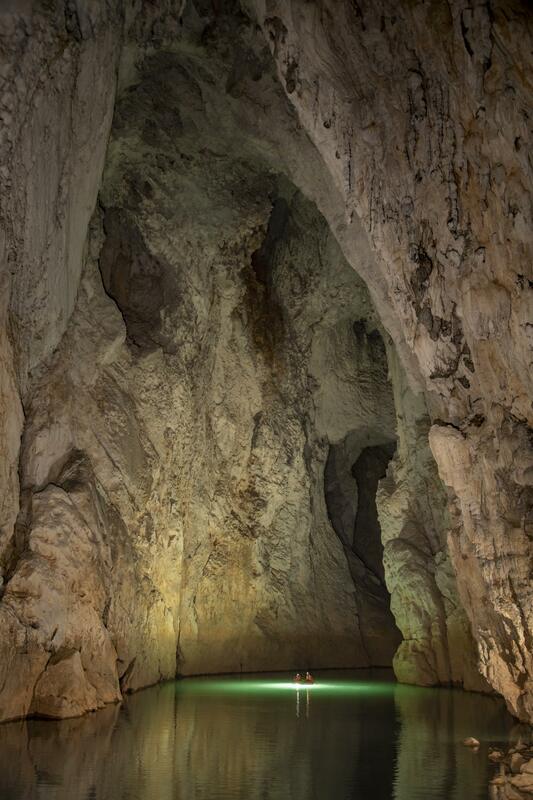 We could not stay in Getu itself as the local government decided it was unsafe and so would have an hours drive to and from the cave, adding time to an already tight schedule. We would also be required to have a chaperone at the entrance and photography and travel in the area would be limited. Our next problem was we would need to source boats to get us through the entrance passage and in to the chamber. Again, Phil came through and managed to find a stock in an apparently disused adventure centre. We managed to cobble together a way of inflating them and borrowed a compressor from the local police. All went surprisingly smoothly and we were soon paddling our way across the massive entrance and in to the Miao Room. The void was so huge that my Scurrion barely touched it. Boulders the size of houses littered the passage and route finding was difficult to say the least as you would often climb across a boulder just to find a cliff like drop the other side. Roo, JJ and Pete began scanning their way in. Mike and Joe began marking the lower route and Phil and I would mark the higher, whilst Carsten would scout for photo locations. Our plan was to spend the first day finding efficient ways through the chamber and so saving time for the scanning team. It took Phil and I about an hour and a half to cross the chamber by the easier high-level route. The other team would need three times this to pick their way through the lower. Phil was planning an attempt later in the week at bolt climbing up to Brexit passage and so we spent some time looking around the area trying to pick the best approach. During this time, we had spotted cairns heading up toward the far wall and were pretty sure it would lead to Minority chamber, a passage Tim Allen and Mark Richardson had previously discovered on the last scanning expedition. We clambered back down just in time to meet up with Joe and Mike before heading back to re-check our flagging tape routes and re-group with the others. Fortunately for us our ‘Minder’ was pretty bored sat outside waiting for us and after reporting back that we seemed to know what we were doing we were given pretty much free rein the rest of our time there. The next few days would be plagued with members coming down with stomach bugs and people fatigued and so the plans were juggled and I would only get the chance to photograph the one day…..but wow what a day!!! Phil and Joe kindly offered to help me and I made use of the scanning team whenever they passed by. The chamber was far too large for the strobes to light and so we would burn through hundreds of pounds worth of flash bulbs trying to get a shot. The logistics were incredibly difficult. Getting the guys to places for lighting would sometimes take an hour and even with the walkie talkies communicating was challenging. Often the little boulder I wanted them to stand on would turn out to be an impossibly huge slab that couldn’t be climbed and trying to visualise how the passage would light was mostly guess work. Unfortunately Phil ran out of rope on the attempt to Brexit passage and the route up toward it greatly deteriorated the closer he got. The French had also had problems with the stability of the rock on their attempt from the other side of the chamber so it still awaits……wide open for the taking! I can’t thank Pete, Roo, Phil and Joe enough for all their help that day. It was a real privilege to get the chance to photograph there. Our week was finished with a slightly unusual government dinner in a fancy restaurant. 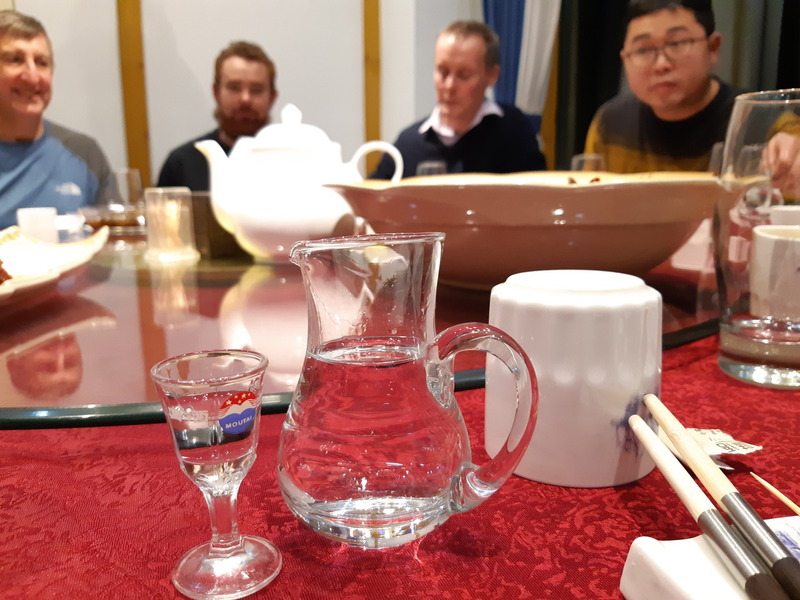 Delights like thousand year old eggs and Bee Lava awaited us as well as the copious amounts of Baijiu. 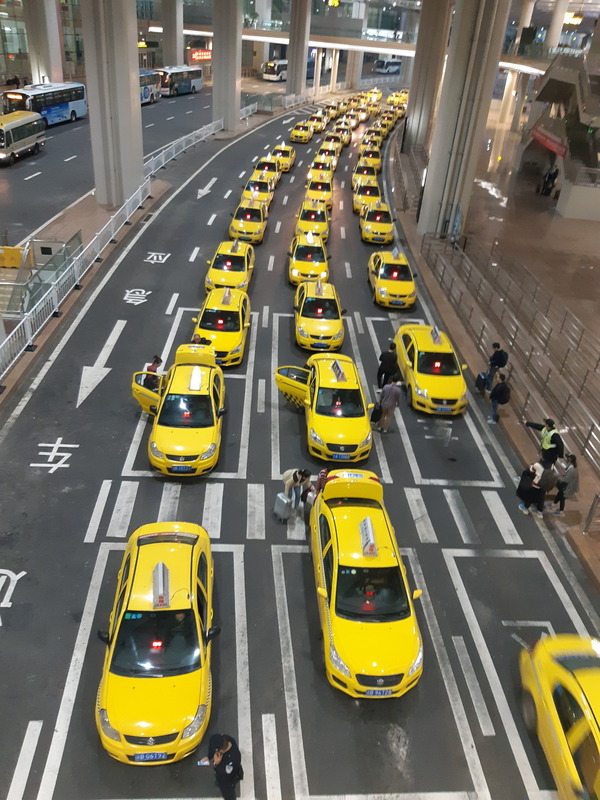 After a fabulous few weeks in a stunning country with fantastic people it was time to go……if only I could find a taxi!! !